Comment: While princes and rulers of the earth may believe they hold power and strength, Isaiah reminds them to look up and behold that the Lord’s power and strength exceed even the greatest of earthly rulers. Compared to the Lord, the inhabitants of earth are like grasshoppers, compared to the Lord, even the most energetic and lively people will fall exhausted. The Lord is above the things of earth in all ways. And yet, God’s people are not forgotten or ignored—in fact, they are renewed, they are supported by the Lord, like an eagle on its wings. 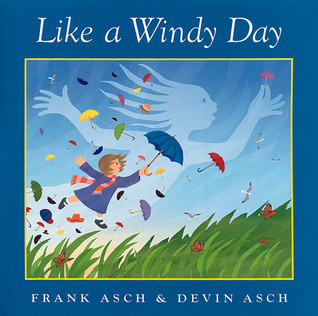 In Like a Windy Day, a little girl declares, “I want to play like a windy day!” She sees everything that the wind does: turning windmills, shaking leaves, blowing hats, and allowing birds to fly, and mimics all of it. She looks above to see the power and strength of the wind. Similarly, God’s people look up above the things of earth to see true power and strength. Depending on the things of this world will not bring us strength or power, but depending on the Lord will raise us up. Comment: In Kitten for a Day, a puppy discovers a basket of four kittens and decides he wants to be friends with them, so he pretends to be a kitten, too. He does everything kittens do: drinking milk, meowing, and chasing mice. When his mother tells him to come home, he and the kittens have become friends, and agree that next time they play, they will try to be puppies. To foster friendship, the puppy decided to try and be like the kittens. Paul tells the Corinthians that he’s under no obligation to do anything, but because he loves proclaiming the gospel and wants to do it as effectively as possible, he chooses to become all things to all people. He doesn’t disregard any groups, even people who are different from him. He does this, not to manipulate, but to connect and bond with all kinds of people, for the sake of the gospel, to share in its blessings. Comment: Jesus’ disciples: Simon, Andrew, James and John, point out people for Jesus to help. First, Simon’s mother-in-law suffers from a fever, and they tell Jesus about her. Then they help bring all who are sick or possessed with demons to Jesus. They know who Jesus is and what he can do, and they know that he can, and does, help them. So, when they see people who need help, they know exactly who to turn to, and they ask him for help. In A Big Guy Took My Ball!“, Piggie comes to Gerald upset because, she says, “A big guy took my ball!” Gerald is just as concerned as Piggie, and decides to right this wrong. Gerald learns that the “big guy” is a very big whale, but also learns that the whale just wants to make new friends. Ultimately, they all play together. Piggie knew what kind of friend Gerald was, and she asked him for help. Jesus’ disciples knew who Jesus was, and asked him to help other people. We know that Jesus loves and cares about us, and we can also turn to him for help. The Lectionary Links this week are written by Union Presbyterian Seminary alumna Sara Anne Berger. Lectionary Links: Sunday, February 8, 2015 by Storypath is licensed under a Creative Commons Attribution-NonCommercial 4.0 International License.